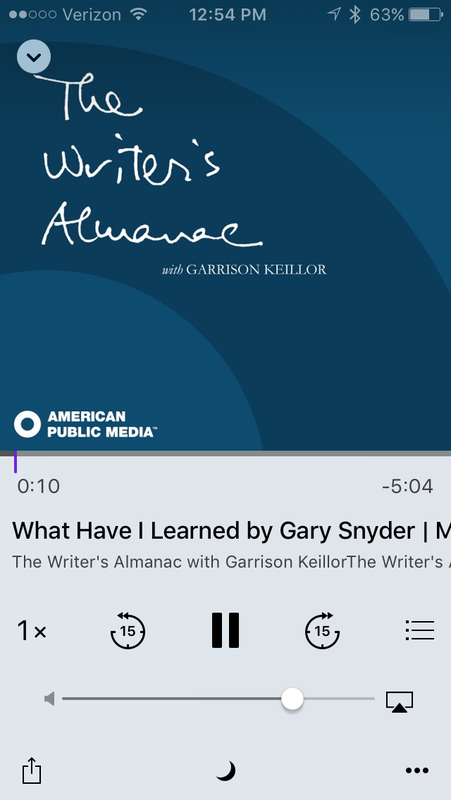 One of the nicest things I’ve discovered recently is The Writer’s Almanac, with Garrison Keillor, a daily podcast of literary and historical notes, and the reading of a poem. It is an utterly delightful 5 minutes in my day and a wonderful antidote to all the ugly and negative news events that inundate us these days. This entry was posted in Favorite authors, Podcasts on April 24, 2017 by Robin. I love their daily emails! JoAnn, I just signed up for their emails! I’ve been introduced to some great poets via TWA! Nan, I’m looking forward to that!